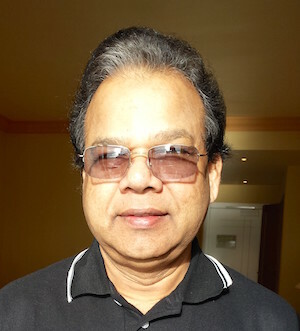 I am one of the keen observers of the Muslim politics from the time the Muslims felt sidelined and realised the need for a separate Muslim political party to raise their concerns in the parliament since mid-1980s. I am also closely listening and watching the election campaigns by the Muslim political parties’ candidates since the nominations were called for the 2015 general election. In the campaign meetings I hear the pathetic stories of the Muslim candidates who contest in various political parties – Muslim parties and major national parties. These Muslim candidates are mainly trying to attract sympathy votes by stereotyping their personal grievances and using other tactics such as creating regional and communal feelings, character assassinations of opponents and promising national list MPs. I can give a few examples to demonstrate how ugly the Muslim politics is. One of the Muslim candidates is repeating in almost all the meetings why he left one Muslim party and joined the other. He was also telling the audience, as the major component of his speech, how he was ill-treated by the party he had just left. Another leader of a Muslim political party who was overwhelmingly received by the people of the village and so excited by the reception suddenly declared and promised a national list MP to the candidate who organised the meeting. I am sure this candidate will cross over to another party if the leader does not deliver the promise. 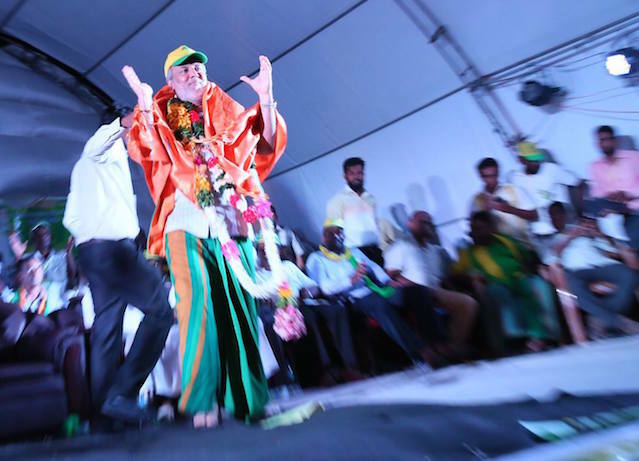 This party leader was also promising to the audience that he would obtain the so-called Kalmunai costal district if his party secured two seats from Digamadulla district and asking the voters to vote for his party. 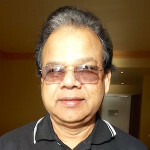 To give such a false promise, he may be certain that his party will not secure two seats from the district and therefore, he will not need to demand for a costal district from the government after the election. It also implies that the services he is going to provide to the people of this region depends on the number of seats his party secures in the election. Isn’t he going to demand for the Kalmunai costal district if his party does not secure two seats in Digamadulla district? The leader of this very small regional party has made the similar promises in many other districts wherever his party contests!. In-fighting within each political party is also getting worse day by day. A meeting of a Muslim political party was abruptly interrupted because one of the participants criticised the party leader for not nominating the former MP of his electorate in the national list ! Further, the candidates of the same party are critical of each other in the contest of getting the highest votes in each district they contest. In another meeting, one of the Muslim candidates was making a thunderous speech to get a local council for the village he was born as the main task if he was elected as an MP and asking the audience to vote for him. He was also blaming another party leader for his inability to get it done in the past. But he failed to explain how it would solve the burning issues facing the people of the area. He was also pleading the audience to caste one vote for the main candidate in the district list and another vote for him. In most of the election campaign meetings, I could also hear their calculations of securing two or three seats in parliament in respect of each district they contested. In every meeting there were character assassinations of the opposite party candidates. Further, regionalism plays a major role in attracting the local voters. The campaigns target even chasing the Muslim politicians/leaders out of the region/district who come from other regions/districts and campaigning for their candidates. The Muslims are now divided very much by their party affiliations, regional biases and on personal grounds. Offensive, filthy and vulgar languages are limitless in these election campaign meetings. The ugly inter-party and intra party rivalry among the Muslim candidates is becoming worse day by day since the poll date is nearing closer. First of all the individual voters should know the problems facing the Muslim community today regionally and nationally. In other words, what they are looking for from a candidate. There are some problems that are specific to a particular province, district or electorate. There are also problems affecting the Muslims nationally. They should also evaluate the past performance of individual candidates and trust worthiness and elect the candidate who can deliver the ‘goods”. From their experience as voters, they must know the position the candidate will take if he is elected on each issue they are concerned with. It is also very important to elect the experienced and honest politicians who can really deliver their promises. In addition they should also consider the leadership qualities of the candidates. They should not vote for a candidate if he does not possess the qualities and experience they expect from him. When considering the national issues, one of the main issues facing the Muslim community today is the freedom to practice their religion. The Muslims should have similar freedom and opportunities like other communities living in the regions and in the country. This is their right guaranteed by the constitution. Today the Muslims fear to practice their religion freely. There are obstacles and criticisms from some racist elements. Therefore, they feel insecure when they practice their religion. Also there are numerous other problems nationally. For examples, youth unemployment, slow economic growth, poor education policies, sky rocketing cost of living, deteriorating standard of living, poverty, inflation, fiscal and monetary policies related other issues, international relations etc. Regionally or locally, there may be numerous specific problems such as lack of resources in the schools, land and colonisation problems, loss of political representation, irrigation problem, local economic and industrial development etc. Further, there is no equitable allocation of government resources and therefore underdeveloped Muslim areas continue to be underdeveloped. But the voters can clearly note in the election campaign meetings that the Muslim candidates are evading these burning issues and talking about unimportant factors to the voters. With regard to the leadership qualities, they consider the honesty, reliability, trust worthiness, intelligence, personal character, free of criminal convictions, communication skills specially who can raise the issue in parliament effectively and efficiently. The most important factor here in selecting a candidate is seeing through distortion techniques. All the candidates are trying to sell themselves to the voters. In many cases, they use the languages that they are so skilfully crafted that they distort the truth in a way that is difficult even for the most careful observer to detect. They attack opponents based on characteristics that may not be true. They also make references to region, for example. The region of a leader where he comes from will not affect his performance. At the last minute, the opposite candidates may also spread rumours about withdrawals or supporting the opponent. This is not a factor at all they should consider in electing a candidate as their representative in the parliament. The popular magic words such as ‘good governance’, ‘rule of law’ and ‘justice’ should not influence you to choose a candidate because you have not seen such things in practical Sri Lankan situation so far although the politicians use those terms even without fully understanding their meanings. In many cases the voters can see these politicians are passing the blame to the opponents for not doing certain things. In that case the voters should pose a question to these candidates that what they themselves have done for your community in the past? This blame game they can see in a stereo type in all the campaign meetings of all the candidates. The voters can also see some candidates or political party leaders are promising the ‘Sky’. They should not believe in this. For example, one of the Muslim political party leaders said ‘he will obtain Kalmunai costal district before Ranil Wickremesingha sits in the Prime Ministerial seat if his party secures two seats in Digamadulla district’. But he failed to tell the voters how he would be getting this! The voters were well aware that this demand was opposed by both the major political parties of this country vehemently in the past before the presidential election. Another Muslim party leader lauded that his party would secure 10 seats in parliament in the general election. These are unrealistic promises and assertions that the voters will realise if they study the ground situation well. Therefore, in brief, the voters should consider the leadership quality, character, past experience, communication skills, reliability, trust worthiness and ability to address the real issues, clear objectives, policies and strategies for the wellbeing of community, realistic promises and ability to deliver them when voting for a candidate/party. The Muslims should reject the politicians who gave broken promises in the past elections and deceived them to secure parliament seats and enjoy perks. This is their very important and esteem responsibility for their community and for their nation. They should use their intelligence, knowledge and experience for this. In fact those who can preserve the good image of the Muslims should be elected to the parliament.